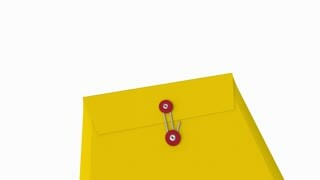 Search Results for "opens the envelope"
A man opens an envelope with a letter, business. Very beautiful girl opens the envelope with a cup of fruit tea. 1970: Surprised Scott opens Christmas envelope gift card. BOULDER, COLORADO Classic vintage 8mm film home movie professionally cleaned and captured in 4k (3840x2160 UHD) resolution at 23.97 fps in native h264 codec. 1960s: Pie chart of warewashing costs. Envelope on desk. Man opens envelope and looks at papers inside. 1960s: Man sits at desk reading magazine, feet up. He puts magazine on desk, takes off glasses. Woman enters, man sits upright, she hands him envelope. 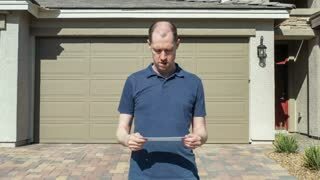 Man opens envelope, begins reading letter. 1960s: Man sorts mail. Young man is handed envelope. Man opens envelope and looks at check. Man smiles. 1950s: Man standing in field opens envelope, removes and unfolds letter. Man hoeing stands up and removes hat as other man approaches, man shows other man letter, two men talk. 1960s: Man with bandaged face nods his head. Doctor talks to man who lays in hospital bed. Man inside lab opens envelope and shakes samples. 1930s: Man opens envelope and hands paper within to other man. Other man flips through contents of sheet and reads them. 1920s: UNITED STATES: family say grace at table. Man opens envelope. Close up of letter in hand. 1960s: Woman opens envelope, pulls out check. Farmer rides tractor through field. 1970s: Man at a table stuffs envelopes. Man opens and reads mail. Woman speaks to a post office worker through a window. Woman pulls sheet music from an envelope and plays it on a piano. 1960s: Animation. An envelope opens and an order for a furniture company comes out. A man sorts through papers at his desk as the days pass on a calendar. The order moves through an office of typists. 1970s: man drives Oldsmobile Cutlass on residential street in Houston. guy exits door in apartment, walks to mailbox, opens door, pulls out mail and places thick envelope on ledge. 1960s: old woman walks to mailbox, opens lid, puts mail inside and raises red flag. poor handwriting on envelope with return to sender stamp for undeliverable. woman looks in empty postbox. An elderly woman sitting in a chair and opens a letter on the background of the window. 1950s: Two men talk, one man passes piece of paper to other man. One man rolls up sleeve, showing bandage wrapped on forearm. Man opens passenger car door, other man enters car. Dog eating from bowl. A professor of physics, a journalist and a stockholder encounter security issues in 1965. A high school teen from Arizona wins the America's Junior Miss pageant on a television show, in Mobile, Alabama, in 1970. A design for a new product is pulled from an envelope and shown as a completed component and a designer makes a transmission, in 1963. A female fashion designer holding fabrics looks at her drawings and opens an air mail letter, in an office, in 1942. The woman opens the car window and throws the letter in the mailbox near the post office. 1950s: Boy skips down street. Boy runs up steps into house. Boy enters room and shuts door. Boy hands letter to mother. Woman sits. Boy takes off coat. Woman opens letter.